Yesterday I ran in the BAA 5K, an annual race that takes place on the weekend of the Boston Marathon. What’s so cool about this particular race is that it goes through some of the same few miles as the last part of the Boston Marathon, including that famous “right on Hereford, left on Boylston” at the end. Admittedly, I was pretty excited when taking those last turns today knowing that I’d be a lot more tired next time I’m there on Monday! The atmosphere of the 5K was invigorating. From talking to other participants and overhearing conversations, I knew that many of the other folks out there were also preparing for the marathon. 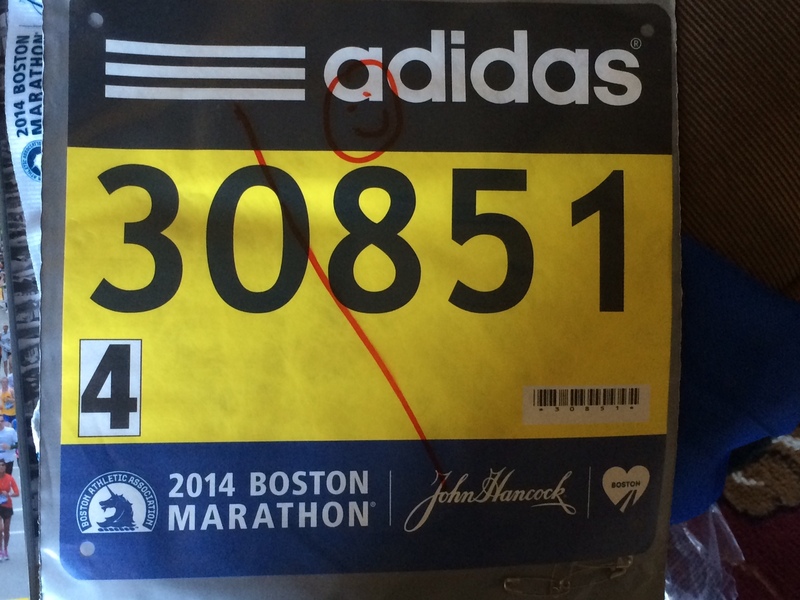 The cliché sense of “Boston Strong” rang true with large crowds and incredible spirit. Teams were out there running in memory of the victims of last year’s marathon tragedies; teams were out there to support some of the same charities that will be represented on Monday; and teams, like Dreamfar, were out there to simply enjoy the race and take in the scenery. I use the word “team” an awful lot in that last sentence, which might seem strange in the context of running – a traditionally “individual” sport. 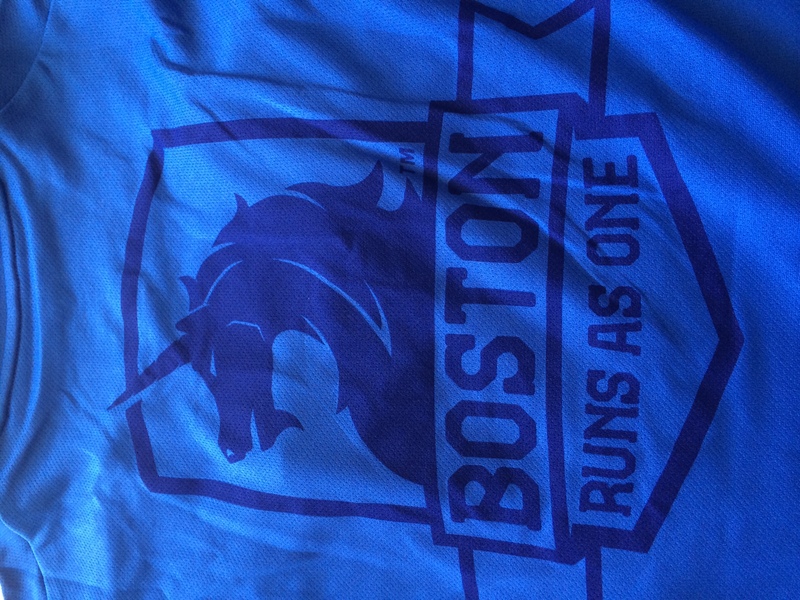 But what I realized yesterday as part of the crowd of thousands – and what will make tomorrow so much more accomplishable – is that “Boston Runs As One.” Those are the words that are on the back of this year’s Boston Marathon t-shirt and they’re true. Like the 5K, despite the Boston Marathon being comprised of thousands of individual runners, it is also made up of teams, families, and communities. 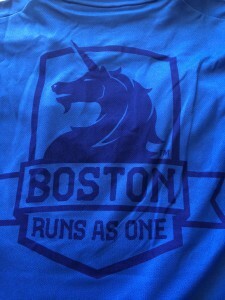 All of these groups bring runners together as “one,” just as the BAA put it. So though “Boston Strong” may seem cliché, I know it’s an authentic sentiment as the world watches us go 26.2 miles from Hopkinton tomorrow morning. As I think about Monday, it’s true that I’m nervous. I mean, come on – 26.2 miles…that’s a long way to run! But if it weren’t a lofty goal, it wouldn’t be worth it in the end, and that’s what I have to remember. 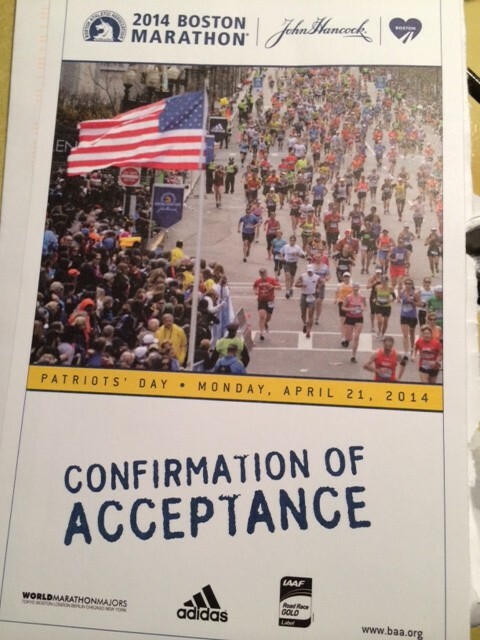 Something new for me with this race, having never run Boston before, is the tremendous support I expect along the course from friends, family, colleagues, students, and strangers! I think it’s a combination of it being such a well-known race and that I’m running to support a charity, but the moral and financial support I’ve received has been outstanding. I’m so appreciative of everyone who has wished me luck, donated to Newton Schools Foundation, or promised to be out there cheering along the course. Each and every one of you helps motivate me to get out of bed and down to Hopkinton on Monday morning. I can’t wait to see all of you out there! For those of you looking for me on Monday, here’s fair warning – I’m by far not the fastest, so be patient if you’re looking for me! You can track me by my bib number (30851) either online, through text messages (text 30851 to 345678), or the BAA Marathon app. I’ll be wearing my bright orange Dreamfar singlet in appreciation for the training and support that Dreamfar has provided me as I worked to fundraise for Newton Schools Foundation this season. And orange is a fitting color this year – not only as one of the official colors of this year’s marathon, but also as the color that Newton South and Newton North share. 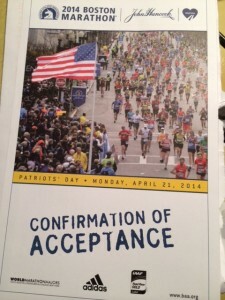 Big news came out this week about rules for the 2014 Boston Marathon. One of the biggest pieces of info for me is about CamelBaks – backpack hydration systems. They are now banned for the marathon for security reasons. Unfortunately, that’s my hydration pack of choice that I’m used to wearing and using. In addition to being convenient to drink from, it also gives me room to carry my Shot Bloks (preferably the strawberry ones! ), tissues, cell phone, and more – everything I might need during a long run. So now that I can’t use a CamelBak, what to do? The obvious choice is a Fuel Belt, which I’ve always been wary of. I just don’t like the idea of carrying something around my waist for hours. Another choice would be a handheld water bottle, an idea that I shutter at even more; carrying something in my hand for 26 miles doesn’t sound like fun to me! Inevitably I will go with a Fuel Belt, which I’ll buy this week and try out next weekend…crossing my fingers! Just last week I talked to my Dreamfar students about Camelbaks vs. Fuel Belts and the advantages/disadvantages associated with each. 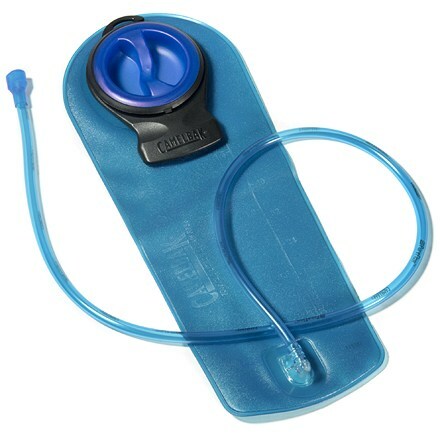 Let’s recap: Camelbaks are easy to drink from because of the hose that goes to the “bladder” (yes, it’s really called a bladder). They also provide a lot of extra storage space for whatever else you need on the road. However, with a Camelbak, your back can sometimes get hot and sweaty from it hanging on your back in the hot sun. They’re also a pain to clean out after a run. Fuel Belts, on the other hand, allow you to carry multiple types of liquids (water in one bottle, Gatorade in another) and still have some storage in a mini compartment. The major drawback, however, is that you need to take the bottles out of the belt in order to drink from them. And, of course, I just don’t like the idea of wearing it around my waist… In any case, I’m sure I’ll deal with it. But changing hydration systems is about so much more than how I’ll get fluids during the race. Long runs and races are all about doing what you know works for you – eating the breakfast that sits well in your stomach, drinking the types and amounts of liquids that keep you going, and wearing clothes that won’t rub against your skin and cause chafing. And oh, did I mention wearing the sneakers that help you run best? For me, wearing a CamelBak is part of my long run routine, just like all of those other things I mentioned, so it will be a significant change for me to modify my routine…something us runners are taught not to do. Commonwealth Avenue was flooded with runners yesterday. To some degree it’s always pretty busy this time of year as marathoners ramp up their mileage and want to practice on the infamous Heartbreak Hill, but I think it’s busier than ever this year. Obviously this is a big year for the Boston Marathon and I think that explains some of it, but the abundance of runners got me thinking about why people run such ridiculous distances. For some folks, it’s all about the end goal of running a marathon – specifically, the Boston Marathon. For others it’s the joy that simply running brings to them (not me!). There’s also the comradery that comes from distance running, either with your running buddies or passing others on the road. But what binds all marathoners together is that we run with purpose – not for running’s sake alone. We’re out there to raise money for charities we believe in, like I am for Newton Schools Foundation; we’re out there to prove we can do something really difficult; we’re out there to build our self-confidence and endurance. There are so many reasons to run and it’s humbling for me to think about this as I pass others on the road, realizing that they, too, run with purpose. To all of the other marathoners out there – why do you do it? I’ll certainly be asking that of my students on Dreamfar this week. Super exciting – BAA says it’s official! I know it’s been a while since my last blog update. The last several months have been crazy! Part of the craziness is working through some injuries that have made my marathon training more difficult. Here’s a little background. In training for my first marathon in 2012, I learned that I had chronic compartment syndrome. At the time, I was able to avoid interrupting my training schedule through making some changes to my training that included physical therapy. For a while it seemed to work and I made it through my first marathon in May 2012! But last year it didn’t seem to work out as well, and the compartment syndrome hindered my running. The only true fix for compartment syndrome is surgery – a fasciotomy. Obviously surgery is a big deal, so I put it off for a while. But I ended up having it in June and spent the summer recovering and rehabbing. I finally got back into the running, but must’ve done something wrong – like ramping up my mileage too fast or not doing the strength training I needed – because I got a case of shin splints. At first I tried running through them, which proved to be a mistake, as they only got worse. I did what was inevitably necessary. I took myself off the road got back into PT, which started to help – but it’s a slow and steady process. Now PT/rehabbing isn’t easy. Besides not being able to run, which was frustrating, I worked hard to strengthen muscles that were weak and to prepare myself in general for the physical demands of running again. At the same time, I needed to keep up my cardiovascular endurance while avoiding certain activities, especially anything with impact. Though it was an arduous process, I’m glad to say (though I’m crossing my fingers!) that I’m back in action and feeling much better. I’m beginning to increase my mileage again, but this time having addressed the issues that were causing the shin splints, as well as continuing with the necessary strengthening and being very careful! As I thought about all of this, I realized how much I’ve been through to get to where I am now training for the Boston Marathon. Marathons aren’t easy – or else everyone would do them! Oftentimes we think of the hard part being the long runs. But the hard parts can easily manifest themselves in other ways too, such as in dealing with injuries and working hard to get back on the road. I think that making it through these difficult parts of the process are what make the end result so rewarding – and I look forward to that happening in April. Fundraising update, incredible support, and first weekend with Dreamfar! I’ve reached 6% of my fundraising goal so far! Thank you to those who have generously donated. This is so exciting to start with such strong financial support so early in the training/fundraising process. But I’d be remiss not to acknowledge the other types of support I’ve felt over the past few weeks. So many friends, family, and colleagues have told me how important it is to them that I’m running for NSF – and have vowed to be there cheering me on along the course in April. Those friendly words and promises are what will get me through this training process. One thing that I think is important to note is the financial support so far from teachers in Newton Public Schools. When I reached out to my NPS colleagues about running for NSF, a number of them contributed immediately. I think this says a lot about how much Newton teachers care for the place they work, as well as what NSF’s support means to them. So thank you to everyone who has helped me with fundraising so far – but especially to those of you in NPS who know the myriad ways that our educational community can be supported. Also this week was my first official “long” run of the season with Dreamfar High School Marathon. So many of the North and South students (40+) and their teachers represented Newton well as we ran around Jamaica Pond with students from other Greater Boston schools. 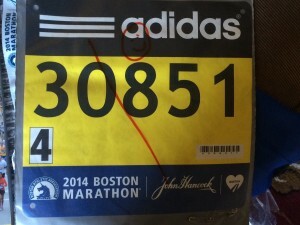 Several other mentors running with Dreamfar are also training for Boston to support charities. Before the run, Dreamfar’s director shouted out each of them and the organizations they’re supporting; I was extremely touched by the applause I received, especially from Newton students, when they heard my name called out. It’s an awesome feeling to know that the students I train and train with are rooting for me! It will also be great to make connections with the other folks training for Boston as we share this training process together and with students. My fundraising page for NSF is now up and running! Please take a look and help me reach my fundraising goal! Over the past year my birthday has been celebrated on several occasions. Of course, none of those times was it actually my birthday – until today! It all started last year at a Dreamfar team dinner at Bertucci’s, when one of my students thought it would be funny to have the waitress bring me a cake with lit candle and sing happy birthday. To be honest, I was pretty confused and didn’t understand what was going on; in fact, there’s a video that shows the expressions of shock and confusion on my face! In any case, it became an ongoing inside joke and my birthday was thereafter celebrated at random times throughout the year. Given how pervasive this joke had become on Dreamfar, I did wonder this morning whether my true birthday might be acknowledged at practice this afternoon. And while I certainly wasn’t looking for acknowledgment, the potential irony of this day passing by without mention while it was indiscriminately celebrated at other times did cross my mind. Well, I entered practice today to the sound of “Happy Birthday” being sung by my team, which I much appreciated – though I did have to explain this story to some of our new team members for them to fully appreciate it! Birthdays and inside jokes aside, I realized something important today from this experience. These Newton South students – much like their counterparts throughout the city – are thoughtful, creative, and caring. What important qualities to have! And I’d like to think that it’s no coincidence that so many of our students in Newton are like this; the Newton schools shape students not only in academics, but also as people, citizens, productive members of our community. These are the type of students that I’m proud to have on my team and proud to say that they’re products of the Newton Public Schools. This is one of the things I’ll be thinking about when my training for Boston gets tough. These students and many more like them are who will be benefitting from my efforts to support Newton Schools Foundation through my marathon training. NSF helps to provide a deserving student body with fantastic opportunities to grow as thoughtful, creative, and caring individuals. To me, that’s an amazing way to complement the extraordinary academic accomplishments that students are making as well. And, of course, when the going gets tough with this training, I’ll also remember that I’m lucky to work directly – together – with such a great group of students on the marathon team at South. You can’t fake a marathon (or half)! Tomorrow morning is the Chilly Half Marathon, an event that takes place annually in Newton. I’m signed up for it, but not running. I’m getting over a mild case of shin splints and, honestly, I just haven’t trained enough to run 13.1 miles safely tomorrow. I had been thinking about running it anyhow, but realized that it’s more important to think about the long-term goal – the Boston Marathon – and that any injury now could set back my training, which obviously wouldn’t be good. I feel strongly that you learn lessons through marathon training that aren’t necessarily related to running. The lesson here is a cliché – that it’s better to be safe than sorry. But it’s true, since I would rather take it slowly now and feel great in April. It would also probably look horrible to my Dreamfar students if I was unprepared for a half marathon but ran it anyway; my colleagues and I are always telling them that you “can’t fake a marathon,” and I think that goes for half the distance too! But even without running the Chilly Half tomorrow, I still feel the excitement surrounding it. It’s hard to describe, but once you’re part of the marathon community, distance races – even ones you aren’t participating in – serve as a reminder to why we put ourselves through the sometimes arduous training process; the events embody the idea of community, shared struggle through the course fosters a bond among runners, and making it through the finish line feels pretty awesome. My first post – Welcome! And perhaps some other tidbits, including my work in Newton Public Schools, which certainly influenced my decision to run for NSF.